Calla Cress is an agent with the ISTF. That acronym stands for the International Security Task Force, a 500-person strong intelligence body created and heavily funded by the UK, US, France, Germany, and Russia. It came into existence before 2000 to help fight the expected problems with Y2K, not in how it might affect business and commerce but how it might be exploited by criminal organizations. "Integrating the full range of investigative, intelligence, audit and prosecutorial resources, ISTF intervened in global criminal investigations. It acted swiftly and expediently. Though only comprised of about five hundred permanent staff, ISTF stepped in where Interpol, the CIA and MI6 left off. They answered to no directive or jurisdiction. A lawless unit fighting to uphold international law. This called for the utmost secrecy." Cress is a nearly 30-year old woman assistant curator at the British Museum, one of the youngest people ever to hold that prestigious position and one she earned through her many talents which include an unusual mixture of old and new, anthropology and hi-tech. 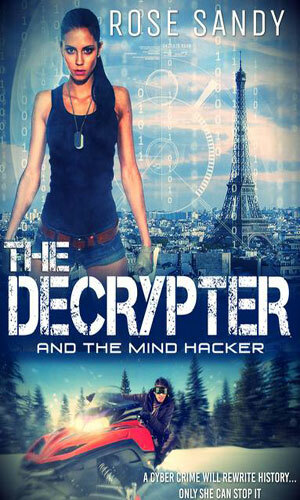 Even more important for her success, though, was her amazing ability at breaking codes, earning her the nickname of the Decrypter. A fairly shy individual, Cress is an attractive woman who is not unaware of her looks but still quite unsure of them. This is a product of having been an orphan for as long as she can remember and though she was raised in a good home by good people, the fear of abandonment persists. As does her desire to learn who her birth parents were and why they had left her. Helping her on her escapades, both professional and personal, are two interesting individuals. Nash Shields is an NSA security advisor who is attached to the ISTF and is also quite attached to Cress. Jack Kleve is an extremely successful tech entrepreneur who also has a fondness for Cress and a love of the excitement that seems to surround her. "A code is written in an unbreakable script on an ancient manuscript whose origin is as debatable as the origin of life. 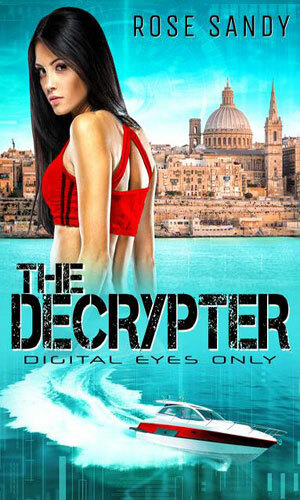 Could its decryption lead to a global cyber war? " If you take down the world's most dangerous man, letting him live is seldom a good idea. The billionaire whom Calla Cress defeated is still very active despite being behind bars and her life and the lives of many others is in danger. 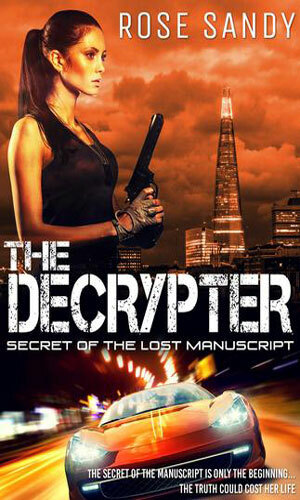 The hacking of the Prime Minister's private accounts is just the start to an adventure that will lead to Calla Cress being asked to decrypt a cipher left in the PM's home, something that will lead to far more nefarious events. Please give at least one of the books a try and let me know if I am wrong. If someone else out there says I should rate it higher, I well might look again.